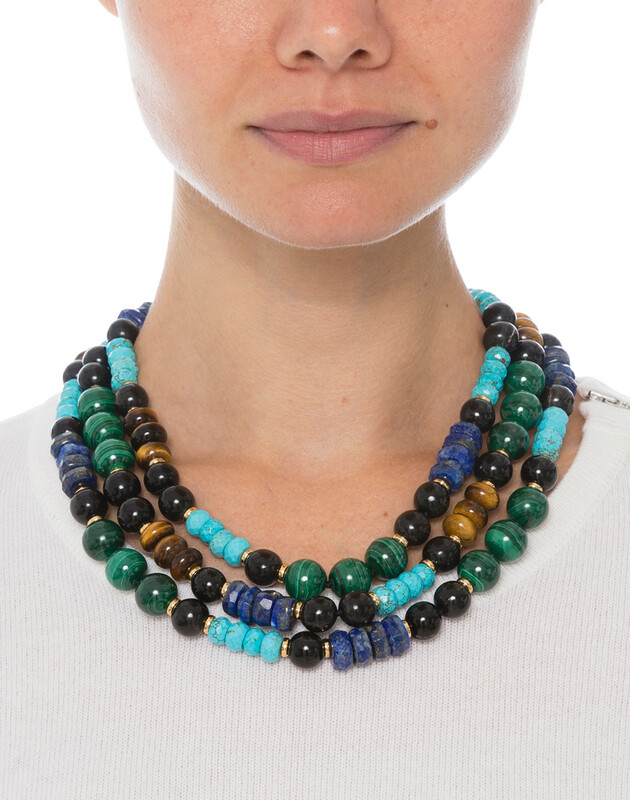 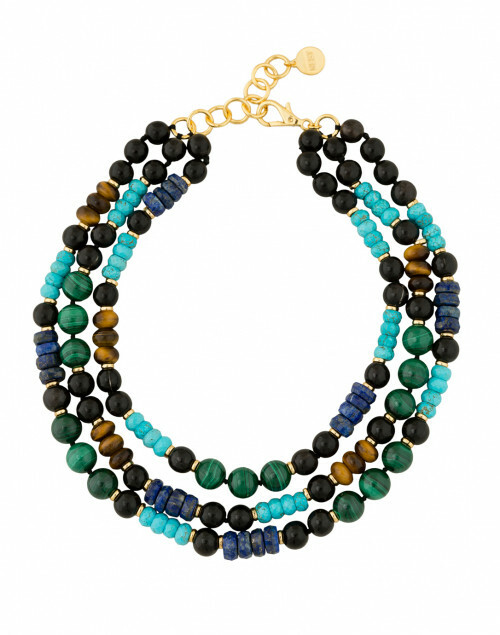 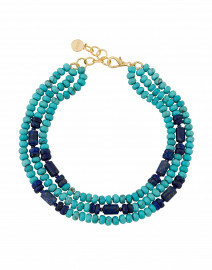 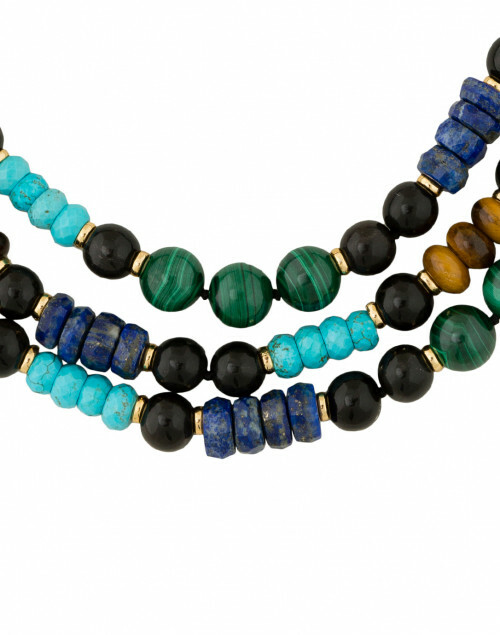 Bring striking flair to a simple top with Nest's malachite, lapis and turquoise beaded necklace. 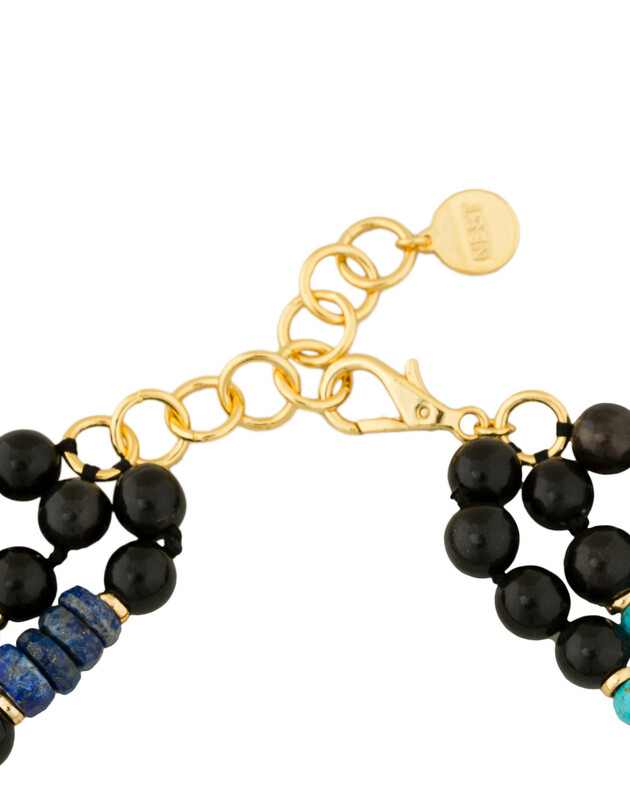 Made in the USA, this triple strand style has a gold tone lobster clasp closure with a logo charm. 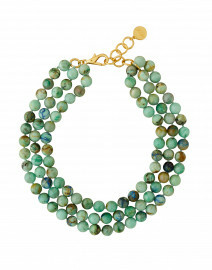 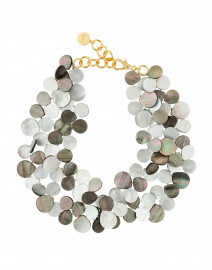 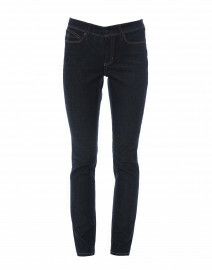 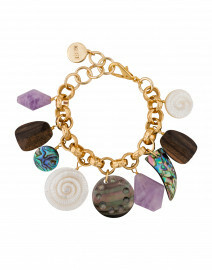 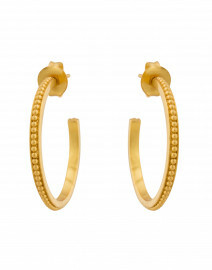 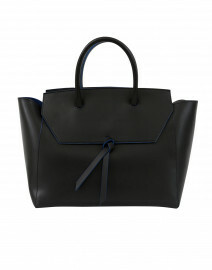 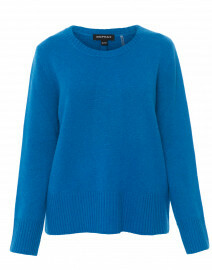 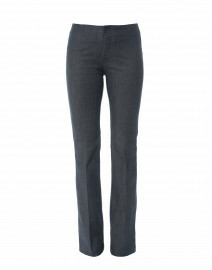 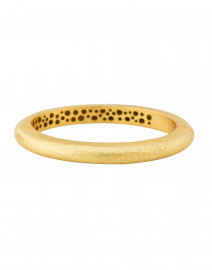 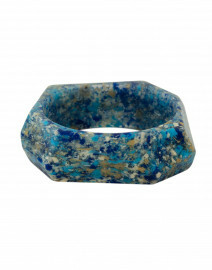 This versatile piece pairs well with understated tops, sweaters as well as elegant silk dresses.